Having already established itself over decades as a truly luxurious holiday destination, Provence needs no extra glamourizing in print form. It’s now about crafting the perfect holiday to fit in all this glorious region has to offer; whether it’s secret coves, sauntering down medieval streets, sampling crisp Rosé at a vineyard or enjoying the best of French cuisine, Provence has it all. 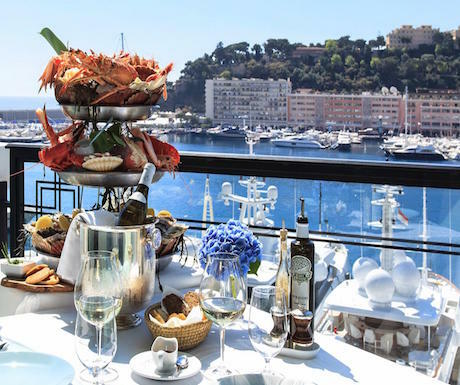 Below we’ve found 5 Michelin starred restaurants in the vicinity of the beautiful town Aix En Provence to get you started on planning your next jaunt to the South of France. Bon appetite! Le Spirit De Violette sits in stunning Aix En Provence, not far from the centre, a beautiful large bourgeois villa, with its garden planted with century-old trees offering dining both in and outside. Chef Marc de Passorio concocts modern, colourful and devilishly creative cuisine, which leads diners from one lovely culinary surprise to the next. Be sure to make a trip to the market before heading for your meal, to truly soak up the French lifestyle and flavours all on show. La Table De Nans boasts an exceptional location right on the lapping azure waters of the Gulf of La Ciotat, a breathtaking setting without even beginning to mention the food! Chef Nans Gaillard gained his Michelin star at the age of 30 and focuses on two major themes: simplicity and quality. Expect fascinating and creative presentation, excellent service and fantastic flavours; try the specialty Blue Lobster with candied carrots with ginger and lime, and meat from the claws in ravioli with a creamy Madagascan vanilla sauce. Or of course the traditional Bouillabaisse made with whichever fish the boats brings in that day. Nestled in the medieval village of La Cadière-d’Azur chef Jean-Francois Bérard has taken over the synonymous family restaurant, having followed on from his father René. Enjoy full-flavoured jus and subtle emulsions with quality ingredients, including vegetables and herbs from the garden. Heritage and innovation is brought together in the quest for taste. Ask for a tour (or tasting experience) of the extensive wine cellar with over 10,000 bottles to marvel at, or book in for a cooking lesson to learn all about Provencal and Mediterranean gastronomy. La Villa Madie is our second restaurant to mention with two stars and spectacular location right on the coast next to the town of Cassis; enjoy turquoise waters, the sound of waves lapping against the beach and superb food from husband and wife duo Marielle & Dimitri Droisneau. Their food elegantly navigates culinary trends and is spot-on and tasty, and the service is impeccable. Chef Droisneau offers authentic cuisine, which is also spontaneous, generous and accessible, evolving with the ever-changing seasons. The south of France is so beautiful – so thank you for this post, it’s definitely got me in the mood to start planning my next visit. I’d love to visit all of the restaurants mentioned; as I fell trying food reflective of the local culture and area is a must. In fact its not just me, as its considered a vital component of the tourism experience. Dining out is common among tourists and “food is believed to rank alongside climate, accommodation, and scenery” in importance to tourists. So enjoy; the further you are willing to travel, the broader the your range of culinary experiences will be. Thanks for a great post. Hotel du Castellet sounds absolutely divine. The photo looks like one could eat the plate. Any tips on the best time to visit?